Kids Are Less Fit Today Than You Were Back Then : Shots - Health News Around the world, children are slowing down. 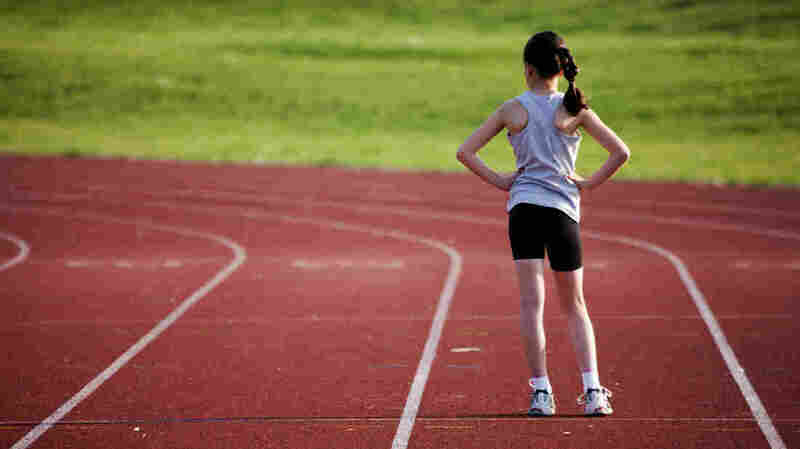 Researchers have found that kids don't run as fast as they did in the 1970s. The finding suggests a potential uptick in future heart problems because running speed is a proxy for aerobic fitness and a measure of overall cardiovascular health. Children around the world are less aerobically fit than their parents were as kids, a decline that researchers say could be setting them up for serious health problems once they're grown up. Children today take 90 seconds longer to run a mile than kids did 30 years ago, according to data from 28 countries. Children's aerobic fitness has declined by 5 percent since 1975. Researchers at the University of South Australia used running speed as a simple proxy for aerobic fitness, because it measures cardiovascular health and endurance. Aerobically fit adults are much less likely to have heart attacks and strokes, and children who are aerobically fit are more likely to be fit as adults. The researchers analyzed 50 studies that included 25 million children ages 9 to 17, in the United States, Europe, Australia, New Zealand and Asia. Children's speed started dropping in the 1970s, and kids have continued to become more snail-like ever since. The only scintilla of light in the gloomy data is that starting in the 2000s the decline in fitness seems to be less pronounced, at least in Europe, Australia, New Zealand, and perhaps the U.S. Fitness is still plummeting in China. The only country that hasn't seen a big decline is Japan, where children's aerobic fitness started out lower but hasn't slipped much. Children around the world share the same reasons for being slower, the researchers say. Increased weight explains 30 to 70 percent of the declines in children's aerobic fitness, according to Grant Tomkinson, an exercise physiologist who led the study. He reported the results Tuesday at the American Heart Association's scientific meeting in Dallas. Higher body mass index "may contribute to the decrease in the running performance of late-teenage girls observed recently," Japanese scientists wrote in 1998, in one of the studies used. Lower levels of physical activity, both in organized sports and at play, account for a lot of the rest, they say. U.S. health authorities say children should be getting 60 minutes of active play a day, but only one-third are getting that. There's a lesson for parents in this, too, and not just that they need to push the kids off the couch. Adult's aerobic fitness has been falling at pretty much the same rate as children's, the researchers found. And for grown-ups, being aerobically fit is probably the best way to reduce the risk of heart disease and stroke.